Discover the ideal subject for modelling and a commonly chosen favorite for experienced modelers – the model train. Their size, style, intricate construction and required paintwork make for the perfect opportunity to master your modelling skills. From model steam trains to modern electric designs, our model train kits at ModelSpace will take you on a journey through the ages of locomotion. Choose a classic build that is adored by so many modelers – the steam engine. These iconic models represent a romantic bygone era and building a model steam engine is a great way to gain a deeper knowledge of the history of this time. Model trains are the perfect addition to any scale model collection with their large engines, passenger carriages and freight cars – they are truly remarkable models. 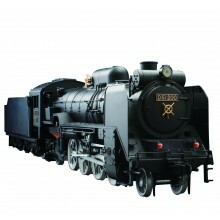 Take on the challenge of the D51 200 – one of the most celebrated locomotives of the 20th century. 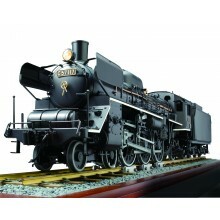 Made from high-quality brass and steel, this 1938 Japanese model has fully functioning lights, whistles and steam sound effects – just like the real thing! Once you have been captivated by our model train kits, why not try your hand at the C57 – another iconic Japanese National Railway classic. 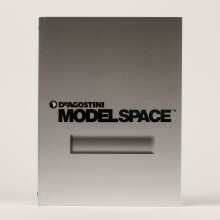 At ModelSpace, our scale model train kits are fantastic for both experienced modelers and beginners. Our classic train models are perfect for adults and kids – a project the whole family can enjoy together. We make the model building process simple by providing step-by-step instructions that will teach you model building skills at each stage. Be sure to explore our wide range of other model options including model cars, planes and even our Star Wars collectibles range!